This isn't just a workplace. It's home. It’s simple. Everyone deserves a home that provides comfort and meaning, shaped by their own needs, expectations and preferences. 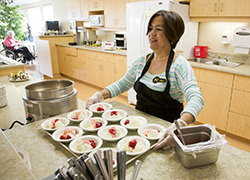 It’s this type of “household” culture and environment we’re building at Samaritan Place. Our vision is to create a joy-filled life for all who call us “home” – for the residents who live here, the staff who work here and those who visit here as members of our extended family. Resumes are gladly accepted by e-mail or traditional mail. Alternatively, you can upload and send us your resume by using the form below. We look forward to hearing from you. 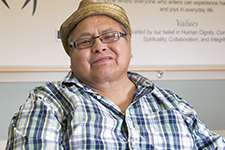 At Samaritan Place, we have one care partner for every six residents, one of the best staff-to-resident ratios of any care facility in Saskatchewan.